As a reader I have my biases (who doesn’t), and one of them is that I am often left frustrated with short stories that emphasize their mundanity. With such a small space to work with, and not allowed to justify their existence with a dizzying high concept, most of them don’t work for me. They may be witty or eloquent, but I’m frequently left wishing I knew more of the characters before they come onstage. Often they feel like they would have been better as a scene in a novel than left to flounder on their own. Unduly harsh? Perhaps. But it gives me all the more pleasure to talk about today’s story, which doesn’t need a single additional word to be thoroughly immersed in the situation. It starts with a husband and wife finishing dinner in silence when, unexpectedly: “Got a letter from Jimmy today,” he said, when he was unfolding his napkin. So you got it at last, she thought, so he finally broke down and wrote you, maybe now it will be all right, everything settled and friendly again… “What did he have to say?” she said casually. My God, she thought, seeing it clearly all the way through right then. She waited. “Going to send it back to him tomorrow unopened. […] Had lunch with Tom today,” he said, as though the subject were closed, just exactly as though the subject were closed, she thought, just exactly as though he never expected to think about it again. Maybe he doesn’t, she thought, my God. And from there the rest of the tormented dinner conversation plays out, while the reader is locked in the wife’s increasingly panicking head. What I love about this is how it turns the limitations of its short length into an asset. We don’t know what’s in the letter from Jimmy. We don’t know why the husband refuses to read it and, for all the hints she drops, we don’t really know why she wants him to read it. The core of this story is an unspoken power struggle between husband and wife, the husband not even aware he’s participating. It’s a primordial duel fought with the most innocuous of words and the faintest of reactions, with a clear victor standing by the end of it. To assign specific motives and explanations would only detract from this; the raw archetype is more than powerful enough. It’s said that a novel is the most momentous period of a character’s life, whereas a short story is about highlighting the most momentous instant. 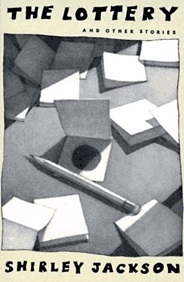 This it succeeds at, with the wife elevating the letter until it becomes a moment of crucial importance, while never leaving behind the juxtaposition that their whole conflict – that of opening a letter – is also absurdly trivial. Ditto. Agree with your take on this story. Like all of her best work, its powers, emphasis, and values are not what and where you expect to find them.